Seafood restaurants in Sanya embraced the holiday consumption boom yesterday, and the Sanya seafood market received high praise from customers in consumer-satisfaction surveys taken on the first day of the 2013 National Day Golden Week holiday. Most of the seafood restaurants had installed 30-inch LED TVs to display real-time information about the seafood produce on offer including wholesale prices, pictures and general information. 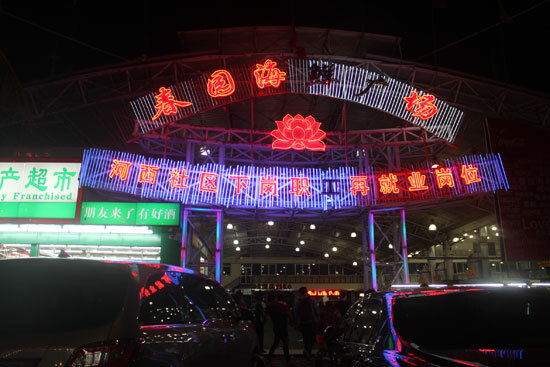 In addition, each type of seafood is accompanied by a price tag including its name, photo and price, which is required by the Sanya Price Bureau. Since 2012, the Sanya Price Bureau has required seafood restaurants in Sanya to clearly mark the prices of all seafood dishes, to prevent seafood stalls cheating or ripping-off customers.